Do You Stand for Transgender Rights? Step Up. It hasn’t even been a whole year, but back in May, I cried happy tears. Not today. It’s not just about bathrooms. That was a wonderful feeling, that my government finally had my back, that transgender kids would be validated in their identities and more importantly, they would be protected. Now, that’s been swept away by the current administration. We know where the government stands, and it is not with us. And most people see this as a non-issue. Who even knows a transgender person, we don’t have those around here, do we? I’m angry. I’m angry at those who support the current administration’s agenda, angry at those who stand by and let this kind of thing happen. It’s not the end of it, either, there will be more bathroom bills, and more attempts to enforce biology at birth as lifetime legal status for gender. More attempts to force transgender people out of public life. And if you stand by and let it happen, I’m angry with you. You can say you have my back all you want, but your actions speak louder than words. I, for one, am not being pushed back into the closet, and I am not going to de-transition out of fear. This is my life now, come what may. But we need help, we are few, and we are often dismissed, even by the queer community. We want need to see allies stand up for us. I want to see the LGBs stand up for the Ts as well. Please. 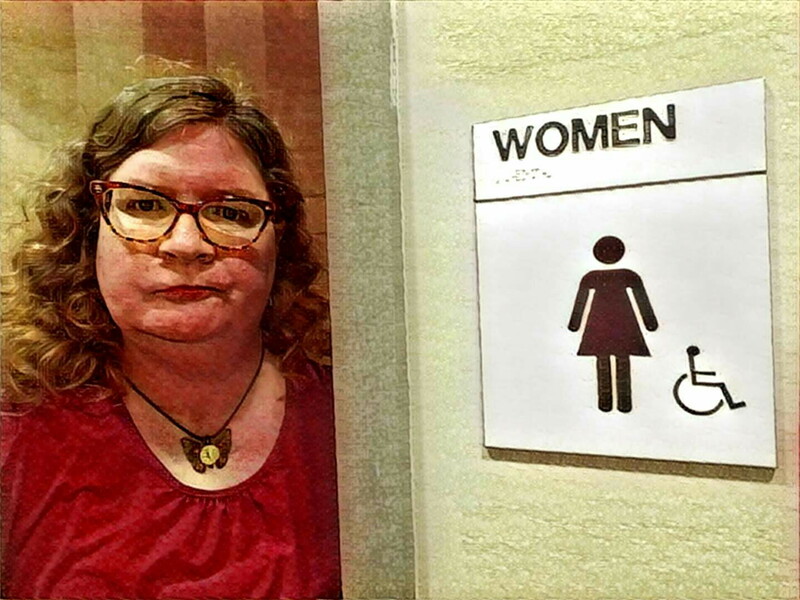 This entry was posted in Blog, Personal and tagged blogging, transgender. Bookmark the permalink.